This place is wonderfully decorated like the ceiling has a portal linked to the 80s dropping knickknacks everywhere. The coffee is also excellent. 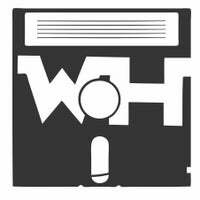 The wifi password is printed on the floppy disks. Really cute coffee shop with lots of nerdy charm to it. Has lots of video game memorabilia and an old school vibe. Interesting coffee flavors too! Try the honeybear latte. The Wormhole is now my favorite coffee shop in the world! It'll bring you back to your childhood days w/ the 1980s nostalgia decor. Kid friendly w/ an NES. Koopa Troopa & Cool But Rude were delicious! 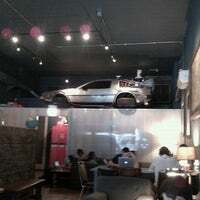 Check out the DeLorean while enjoying a Koopa Troopa latte! Simultaneously an amazing coffee shop (legit roasting operation, skilled baristas, cool signature drinks) and nerd paradise. One of the best places for coffee at Chicago. My current favorite is iced Homemade vanilla bean. Always super crowded and not enough places to all people . Works until late nights. Their non-coffee drinks are big winners here. I highly encourage you to try the cruel summer if it's available - refreshing, unique, and still highly caffeinated ;) Bonus points for the DeLorean. The greatest coffee shop I've ever come across! All of my childhood fantasies with my favorite caffeinated adult beverage, free wifi, and they built a time machine out of a Delorean! The decoration is truly amazing, and a geek's paradise. From the walls, to the R2D2 mugs, to the not-so-hidden time machine, all the way up to the hanging menu. Just keep in mind it's really crowded. Busy on weekends (making it less than ideal for work.) 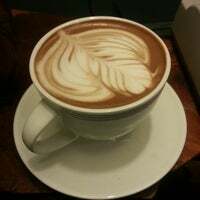 But delicious drinks and fresh brewed coffee are well worth it. 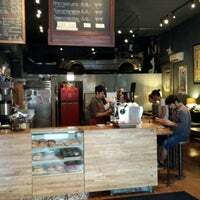 A must visit Chicago coffee shop. Really cool place with lots of interesting stuff, come and explore every inch of it. Their honey bear latte iced was quite good. 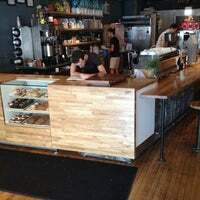 Hit up this coffeeshop in the WIcker Park neighborhood. Get the peanut butter flavored coffee. Lot's of sci-fi stuff throughout including a DeLorean in front. Yeay to Back to the Future! Un lugar para los amantes del café y de las películas de los años 80-90. Se llena mucho, pero vale la pena tomar un café y disfrutar de la colección que tienen, como el DeLorean de la entrada. 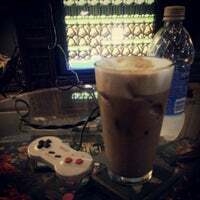 The wonderful coffee is enough of a reason to go, the Nintendo is amazing good fun, even if you're awful (like me). The coffee shop is a hike for the loop and a pain from the red line but worth it. Love coming here during the weekdays, when it's not too packed. DONT GO ON WEEKENDS! It's extremely packed and not enjoyable. Overall though, great coffee and pastries. 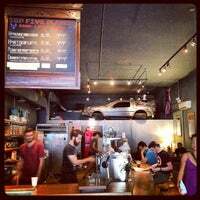 This time-travel-themed (it has a DeLorean in the front) coffee shop has a small selection of baked goods from Fritz Pastry, Cheerios and other assorted cereals; and talented baristas. Make sure to walk around and look at all the fun artifacts of the 80s and 90s they've filled the place with. 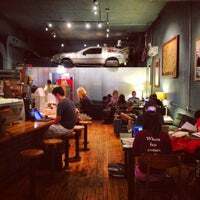 The Wormhole is great to study in because it has large tables, free wifi, great music and coffee. The '80s theme is more unique than the average coffee shop. The steady brews here are by Metropolis, but featured roasters, like LA's Handsome Coffee Roasters, regularly fill the extra grinders. "Superb coffee, roasted by the best artisans in the bean community "... This is so true, Try the Vanilla latte and Chai te! This place is crowded, but definitely worth getting your drink "for here" and doing some people watching. Lots if nerd memorabilia to check out, too!! This place is so lovely! Wi-Fi connection is reliable and relatively fast. 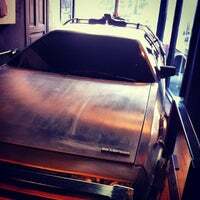 The rumors about the Delorean are certainly true! It’s the greatest geektopia. This. Place. Is. Awesome. Not much for food BUT here's what they do have: original Nintendo, my favorite 80s movie posters, Star Wars merch, a DeLorean, and obviously free wi-fi. The vibe here is amazing. Guest espressos make for a community atmosphere. 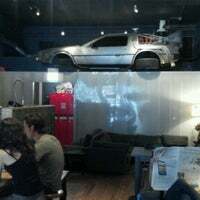 Plus, the nerdy decor and the DeLorean are on point. Add 10 minutes to your wait time if the person in line ahead of you is friends with someone who works here. They need time to catch up and chat, and that's more important than customer service, right? Great coffee, friendly staff, free wifi. Only drawback is it can get really crowded so seats can be tough to come by. Great atmosphere to try some of their hand crafted coffee treats... in one sitting. The honey bear latte is my go to drink, I absolutely love it. It's a must try if you're not sure what to get. Nerdy little coffee shop, plenty of room. A must visit if you're visiting Chicago, especially if you're e a child of the 80's. Chill environment with a nice retro theme. Their drip coffee is on point and they make a good vanilla latte as well. By far one of the best places to work on your laptop in Wicker Park! 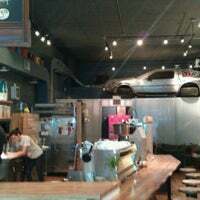 Plugs everywhere, tables of all kinds, free wifi, and of course, let's not forget, the fricken DELOREAN in the window!!!! Great atmosphere to get some work done and/or relax. The baristas are awesome, and they have almond milk. Their soy is good. the cappuccinos are a bit foamy. Espresso is good tho not very bright/citrus. Decorations are a kick. Great place to do work. The new remodel has opened up so much seating space - including plenty of bar seating. The in-flight Delorean is not to be missed. Amazing coffee, amazing ambiance, this is, without question, one of my favorite coffee shops anywhere in the city! The vibe is awesome, besides, what coffee shop do you know that has a Mr. T board game and a throwback Super Nintendo?! 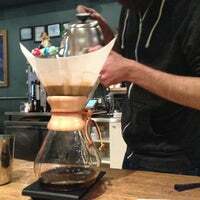 Best coffee shop in wicker park. Great drinks and a really fun 80s/90s nerd atmosphere. 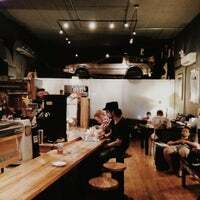 Delicious Iced Coffee, Aeropress and Espresso in one of the coolest coffee shops in Chicago. A must visit if you're visiting Chicago, especially if you're e a child of the 80's like me. Yes! have some. Yes! *do* have some. 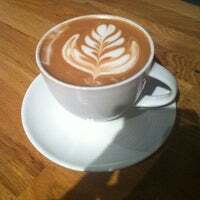 Please to be enjoying the best (loveliest) coffee in Chicago. Hey, we're doing our best! Stop by and visit us soon. 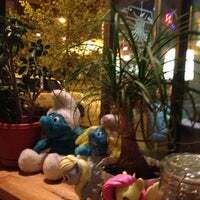 "Love their coffee, the space (though it gets packed), and their bagels. During my most recent visit, I got a mocha and a bagel with onion, tomato, and cream cheese. Definitely coming back. 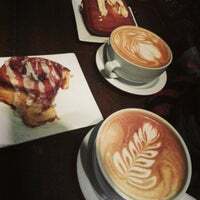 💞"
"Serene, hard-working, youthful staff, natural light, cool mural, neighborhood art, near Blue Line, varied well-selected music, tasty treats, no in-your-face price list/ads, light brick walls . . ."
"The leek pesto omelette with steak tenderloin, goat cheese, spinach, and butternut squash was delicious!" "LOVE big star. incredible tacos, tostadas, and guac. black cherry fizz is delicious. patio is always worth the wait." "Lots of used books for great price! They also buy books!"